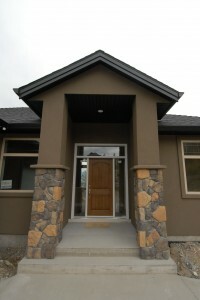 Ridgeroc Homes has been delivering superior quality homes in the Okanagan Valley for 14 years and counting. We are a company that looks after all aspects of the build with the owners on site every step of the way, from placing your footings to handing you the keys upon completion. A Ridgeroc Home means your home will be built with consistent quality from the footings all the way to the final paint on the walls. Our three step process of DREAM – DESIGN – BUILD allows you to have full control of the direction to take your home with trained professionals to help make the process seamless for you to have your dream home completed in a stress free environment. We will spend the time to work with you and your visions to create a concept and lifestyle that fits your needs and wants with no pressure to move on to the design stage with missed ideas. 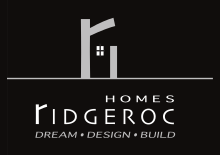 Ridgeroc Homes is made up of two partners, Greg Campbell and Shane Lind all with over a combined 55 years of experience in all areas of building and developing. Greg has a degree in Business Management and has worked in the construction industry for over 20 years, he will work with you keeping in mind your budget, time frame and optimizing your home for your personal needs to suit your lifestyle. Greg works closely with all of our professional trades and you the home owner so nothing will be missed when you start enjoying your new home. Shane has been with Ridgeroc Homes for over 10 years and is an integral part of planning and design of each home. Shane is from a long standing family in the West Kelowna community with deep ties in our area. Shane has been in the construction industry and framing for over 15 years and is an integral part of making Ridgeroc Homes what it is today. The Ridgeroc Team is built on integrity and place great importance on Family. We believe everyone should have the comfort to live in the best possible environment with the highest quality of materials at the best possible price, not just another house. We back our homes with a complete 10 year warranty and stand behind our product for a lifetime.